Understanding Criminal Justice in Hong Kong provides a much-needed overview of the criminal justice system in Hong Kong. It is designed to be used as a text for students studying this subject as part of a wider course in criminal justice, police studies, law or social work, and for practitioners working in Hong Kong in the police, prisons, probation, voluntary agencies and other criminal justice personnel. It will also be an invaluable source of information about how criminal justice operates in Hong Kong in the context of broader courses in comparative criminal justice. 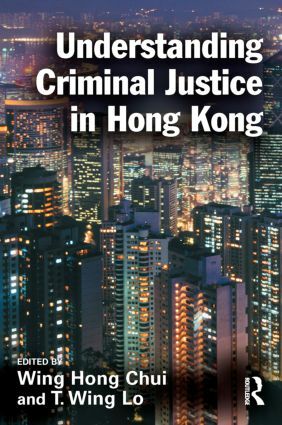 This book outlines the basic concepts of criminal law in Hong Kong, and analyses the process of the criminal justice system, ranging from the report of a crime through to the correctional system. At the same time it examines how the criminal justice personnel or actors work in practice, and how they deal with the offenders and victims during the criminal justice process. Throughout the book readers are also encouraged to consider the arguments and debates that surround the controversial issues in the Hong Kong criminal justice system.